The constant conflict in different parts of South Sudan, and now in Equatoria, has resulted in the displacement of hundreds of thousands of South Sudanese into neighbouring countries. Thousands have fled for their lives into Uganda where more than 2,000 enter the resettlement camps in Yumbe, Koboko and Yumbe districts daily. 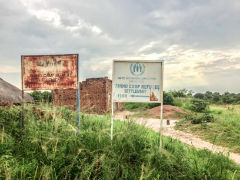 The conflict started in 2013 in Juba and has continued to spread to many parts of South Sudan causing civilians to flee the country for safety. With the war becoming chronic, these refugees have found themselves exposed to horrific situations that have wounded them physically, psychologically and emotionally. They have lost their identity and self-worth due to the effects of the war on their lives, their parents, relatives, and siblings. This has caused traumatic wounds that need healing through the use of biblical pastoral care and counselling to create hope and give healing to wounded people who struggle to forget the dreadful experience of the inhuman and barbaric treatment that was inflicted on them. The pastors working amongst these displaced refugees, who are themselves refugees and have also been traumatised, urgently need trauma training and counselling using biblical principles that they can then take back to their people to build hope and help heal the wounds and scars. 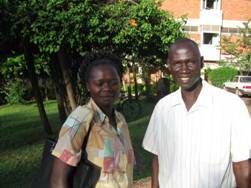 Bright Hope World has been partnering with Thomas Lubari, himself a Sudanese refugee, in Jinja, Uganda since 2007. Despite leading a church in Jinja, overseeing a micro-enterprise loan programme (UGA04b) and a vocational training programme (UGA04c) there, and running Foundations for Farming training courses in various locations around Uganda (UGA08), Thomas has always maintained a real love for his homeland and the Sudanese people and travels back there regularly. He is involved in church development there in addition to overseeing micro-loan programmes (SUD01) and also vocational training (SUD04). In October 2016 BHW's Field Director visited two of the resettlement camps in north Uganda and saw first-hand the plight of the people there. Following this visit, Thomas expressed a desire to gather some church leaders (pastors who are recent refugees) together for a few days to give them trauma counselling and empower them to help their people. Funding for this project commenced in December 2016. The primary beneficiaries are the church leaders/pastors from South Sudan who will receive the trauma counselling training and encouragement from Thomas and Joyce. However, this training will have a flow-on effect to hundreds, if not thousands, of other refugees who are counselled by these pastors. This partnership meets an urgent need amongst a desperate group of people who have been severely traumatized by the horrific things they have experienced. As a Sudanese refugee himself, Thomas is an ideal person to be able to minister to these people and has a real love and concern for the South Sudanese people. Thomas and Joyce Lubari are both refugees from Sudan and have been living in Uganda since fleeing the war in Sudan in 1990. They have five children of their own but also care for three other children who have either been neglected by their parents or are orphans. They initially planted a church in the west Nile town of Koboko which borders South Sudan and the DCR. However, rebel insurgency hit Koboko and they fled to Jinja where they planted the church there in February 1996. They continue to lead this local church in Jinja but their hearts are in South Sudan and Thomas frequently returns there to assist the development of the country and the church. Thomas has a background in agriculture and theology, has a Masters in Development and has also had training in trauma counselling. Joyce is trained in accounting and currently works in the administration department of a Bible School. The vision is to provide refugee pastors with training and provision of integrated counselling beyond the level of words only but also to meet their needs in a more practical way (theo-bio-psycho-social counselling). This will enable them to develop a sense of self-worth, receive healing and be able to minister hope to the refugees at an individual level, enabling their recovery from post-war effects. 1) To equip pastors with pastoral care and counselling abilities to be able to respond and provide spiritual, physical, psychological and social care to the traumatized refugees so as to gain a sense of hope, acceptance and identity. 2) To regularly run inspired hope building workshops/conferences built around the bringing of healing to the traumatized due to the fact that all refugees are traumatized in one way or another. The project will initially train 30 pastors representing different refugee communities and camps in Uganda. Thomas and Joyce would like to get these church leaders together in a place away from the resettlement camps and spend five days helping and encouraging them. The pastors/trainees will in turn reach the refugee communities through locally organized seminars addressing trauma and healing. Counsellors will also liaise with local community leaders to identify victims of trauma who manifest symptoms of trauma and give them the necessary counsel. Trainers/counsellors will be provided with training materials including a bible each. An assessment will be carried out six months following the first training programme to establish the efficacy and reach of the training before a decision is made whether to proceed with further programmes. The amount required for each training programme is US$2,200.